​Smiling and laughter not only support our physical health but also have similar effects on our mental health. They are powerful tools for releasing difficult emotions and making us feel good. When strong emotions such as anger, sadness, or fear are present, laughing can alleviate some of that emotional distress. ​Laughter yoga, an technique to promote laughter and exercise, is becoming more popular across the globe. 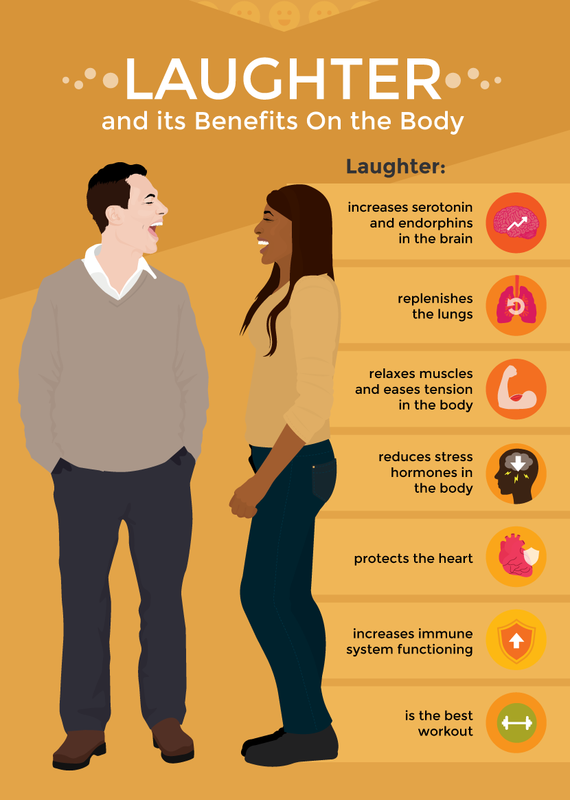 This technique focuses on the concept that there is a link between the body and the brain and that laughter can enhance that link. It’s main idea is that your body knows how to laugh even if your mind is not happy or in the mood to laugh. Therefore, you do not need to have a sense of humor or even be happy during these exercises.